"Theater Guild on the Air: Escape"
According to The Urban Dictionary, a cad is "a man who is aware of the codes of conduct which separate a gentleman from a ruffian, but finds himself unable to quite live up to them." Many movie villains are cads and every movie needs a villain, so a professional cad should be guaranteed a successful career. We see many examples of actors who specialize in playing the bad guy, but in most cases they are delightful people away from the characters they play. There are cases when the villain is portrayed by a genuinely rotten person. 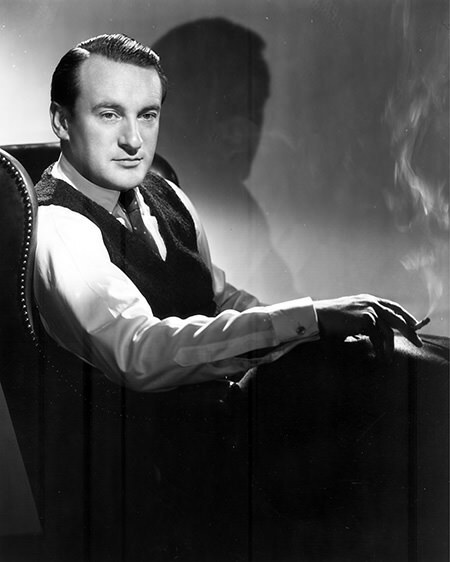 George Sanders was born to English parents in St. Petersburg, Russia, 1906. His older brother would grow up to be actor Tom Conway and they had a younger sister, Margaret. With the coming of the Russian Revolution in 1917, the family escaped to England where the boys attended Bedales School and Brighton College, then went on to Manchester Technical College. After graduating, George joined a London advertising firm. He met a secretary at the firm, an aspiring actress named Greer Garson, who suggested George give acting a try. Sanders appeared in a series of British films beginning in 1929. 20th Century Fox cast him in the historical drama Lloyds of London (1936), his first American film. With his haughty upper-class British accent, sleek and suave mannerisms, and somehow superior and threatening presence, he was in constant demand for supporting roles in A-pictures. He also played the leading man in B-grade adventure serials, including five installments as Simon Templar in The Saint series, and four of The Falcon series, including The Falcon's Brother (1942) where George handed the series over to his brother, Tom Conway (after which Conway would make nine more Falcon pictures). Tom and George would also work together in Death of a Scoundrel (1956), again as brothers. 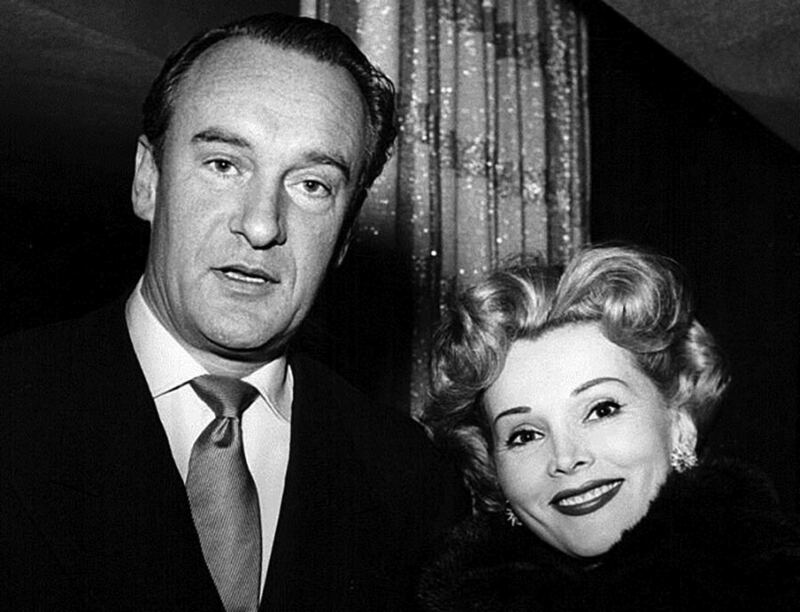 Death of a Scoundrel also featured George's ex-wife, Zsa Zsa Gabor (married April 2, 1949, divorced April 2, 1954). Zsa Zsa's almost pathological need to appear happy makes an interesting contrast to Sander's need to be a heel. It was George's second marriage, Zsa Zsa's third of nine. George was desperate enough to get rid of Zsa Zsa that he devised a plot where he broke into her bedroom on Christmas Eve with a detective and photographer to catch her in bed with a lover. The lover dashed into the bathroom, George called "Merry Christmas, my dear! ", and Zsa Zsa served champagne to everyone (except for the guy in the bathroom). Sanders' third marriage to Ronald Colman's widow Benita Hume in 1959 was one of the least caddish, almost noble moments of his life, and one of his few real joys. Most of Hollywood was sure George pursued Benita for her money, and Benita herself was under no illusions about him. After hearing of the Christmas Eve incident with Zsa Zsa, she remarked to a friend "There is something irresistible about a man who cultivates caddishness to such Homeric proportions." In 1967, George had signed on to play Sheridan Whiteside in Sherry!, the musical adaptation of The Man Who Came to Dinner. When he learned that Benita was ill with cancer, he pulled out of the project. After she died on November 1, 1967, George told friends that Benita would not have wanted mourning, "The mood here is one of gaiety". However, when a friend asked about Benita while riding in a car, he broke down into uncontrollable tears. George married Zsa Zsa's older sister Magda a couple of years later, this time undoubtedly for her money, and apparently at Zsa Zsa's suggestion. However, he could not bring himself to ask Magda for money, and the marriage was annulled after 32 days (on George's suggestion, his impotence was given as reason for the annulment). After leaving Magda, he began drinking heavily. In 1972, he checked into a hotel in Spain and swallowed five bottles of Nembutal. He wrote in a suicide note "Dear World, I am leaving because I am bored." 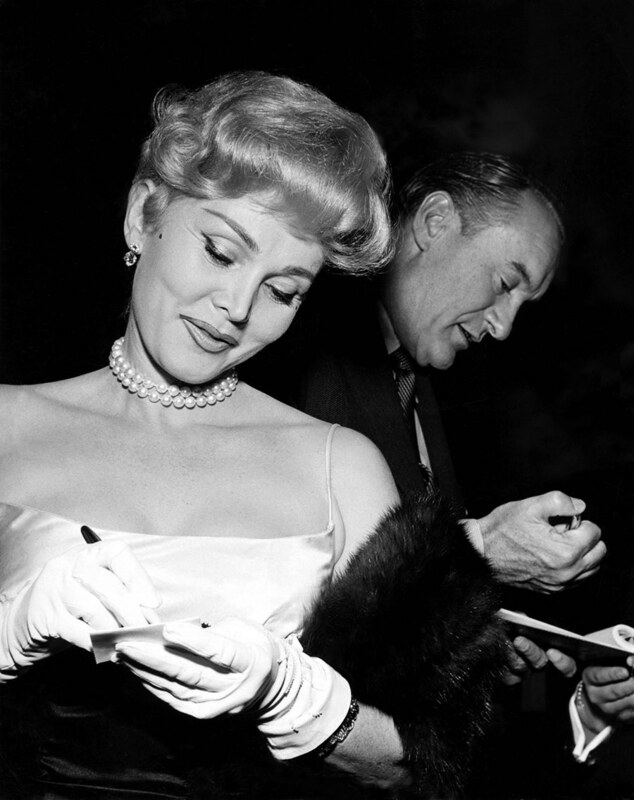 There are two Stars on the Hollywood Walk of Fame which honor George Sanders, one at 7007 Hollywood Blvd for his work in Television, and another at 1636 Vine Street for Motion Pictures. Be the first to comment on "George Sanders"